When it comes to working in an office, you want to make sure you use every inch of space available to you. Even though a lot of information is now stored online to a server or the cloud, the use of files and folders are still abundant throughout most offices. 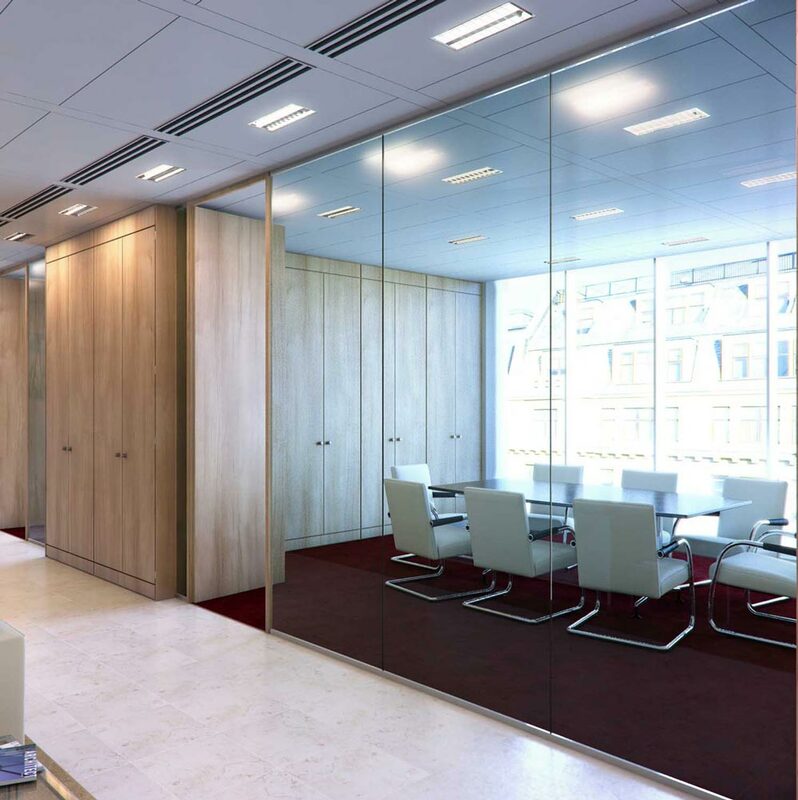 When designing any office, it’s important to think about space planning and where everything will go. During this process, if you find you’re a little short of room, don’t panic! There is an excellent solution to this problem that will allow you to conveniently store everything you need in one place. Storagewall is an incredible solution to space issues. 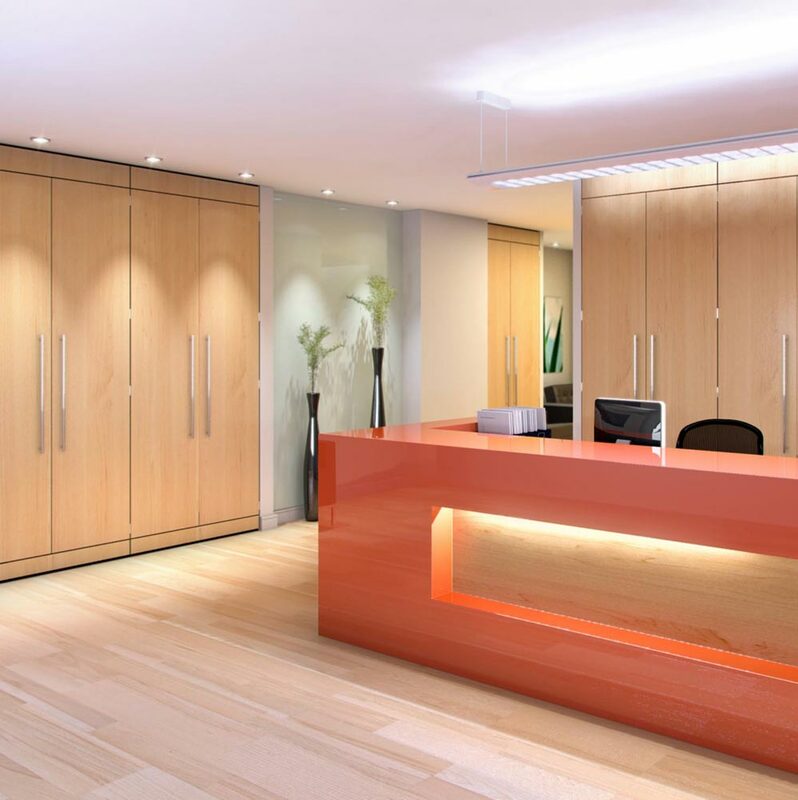 Because they effectively become part of your office’s wall and use the full height of the ceiling, you can save a significant amount of space by eliminating the need for bulky and unsightly filing cabinets. Built in cupboards do exactly what they say on the tin. 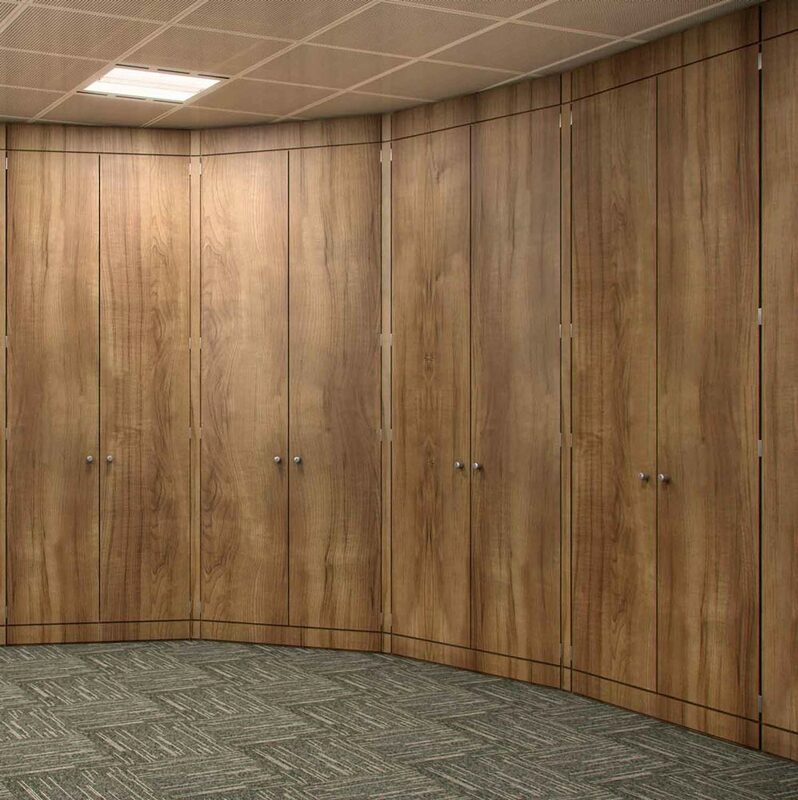 They are built against the walls and alcoves of your office to provide you with extra space to store everything from coats and bags to documents and files without taking up any room at all. No two built in cupboards are exactly the same, we will consult with you before designing and building to ensure that your needs are met. If you’re looking for somewhere your employees can store their coats, choose more cupboard space and less shelves. If you’d prefer to have maximum space available for books and files, then you can choose to eliminate the need for wardrobe space altogether. 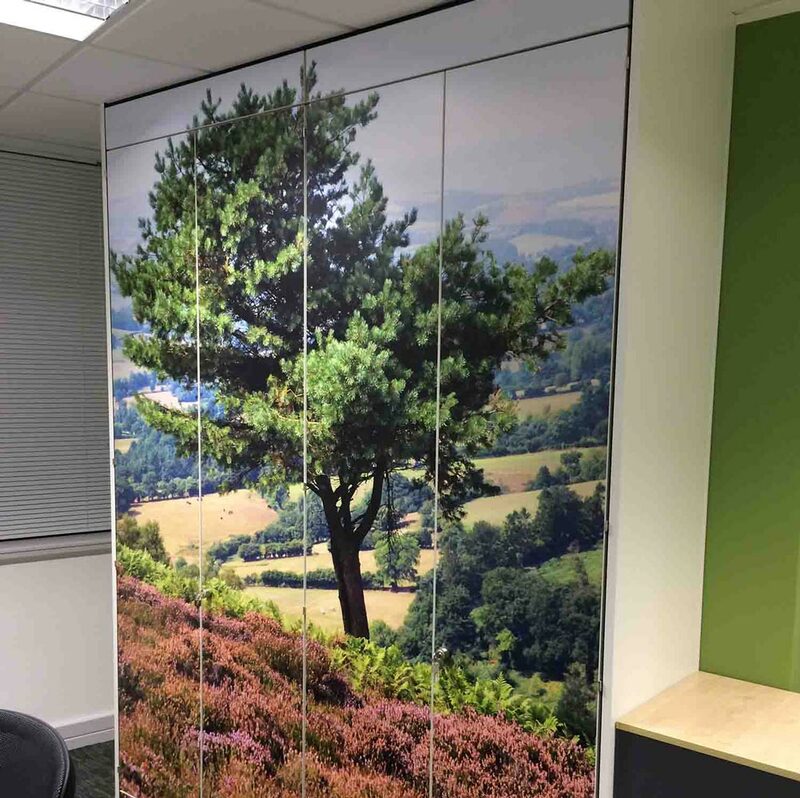 One of the best features of built in cupboards, is that they allow you to customise your storage to suit your office, thus giving it an organised, neat and efficient look that will impress both colleagues and clients. If you’re looking to make the most out of what is available to you, then floor to ceiling storage is the way to go. 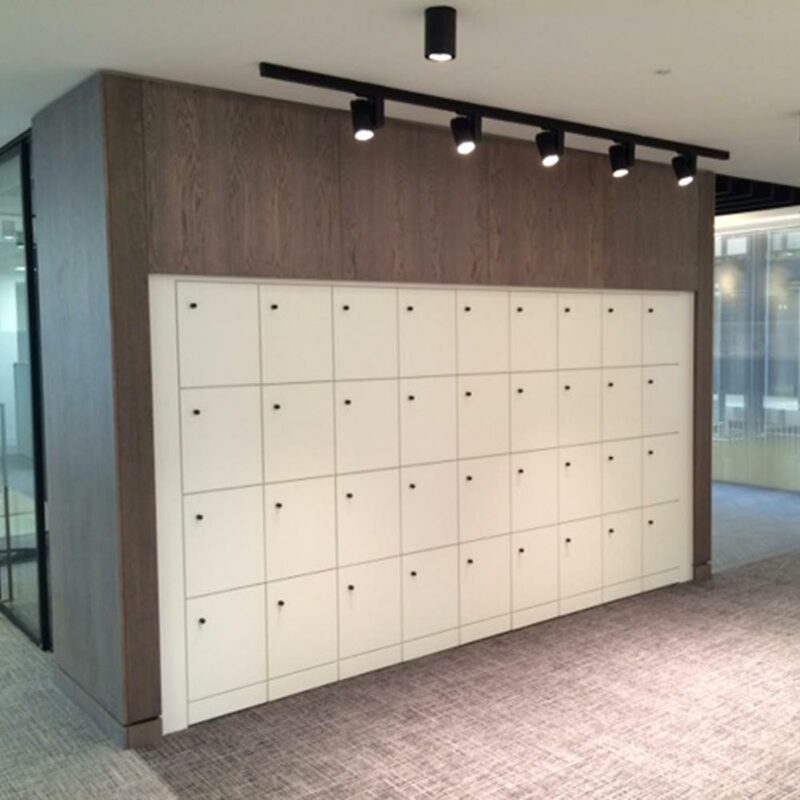 Benefits of this type of storagewall system in your office are that they are manufactured to fit in seamlessly with your office, thus giving it a clean and streamlined look without bulky boxes or corners. The storagewall options can be designed to suit your needs exactly. 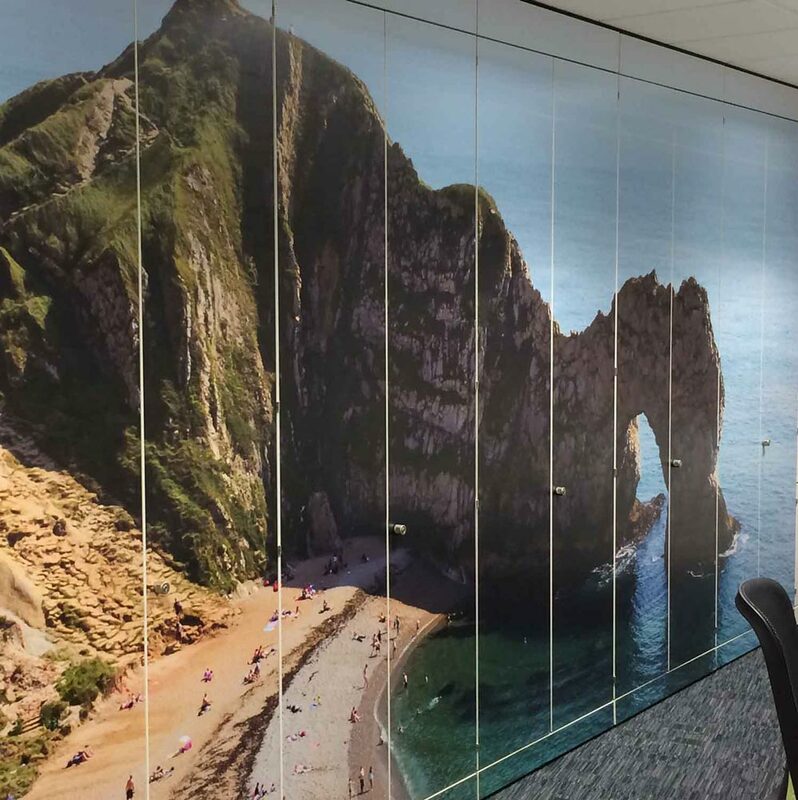 Maximising your office space can sometimes mean using corridors between offices as storage areas, but that doesn’t mean they need to be unsightly. 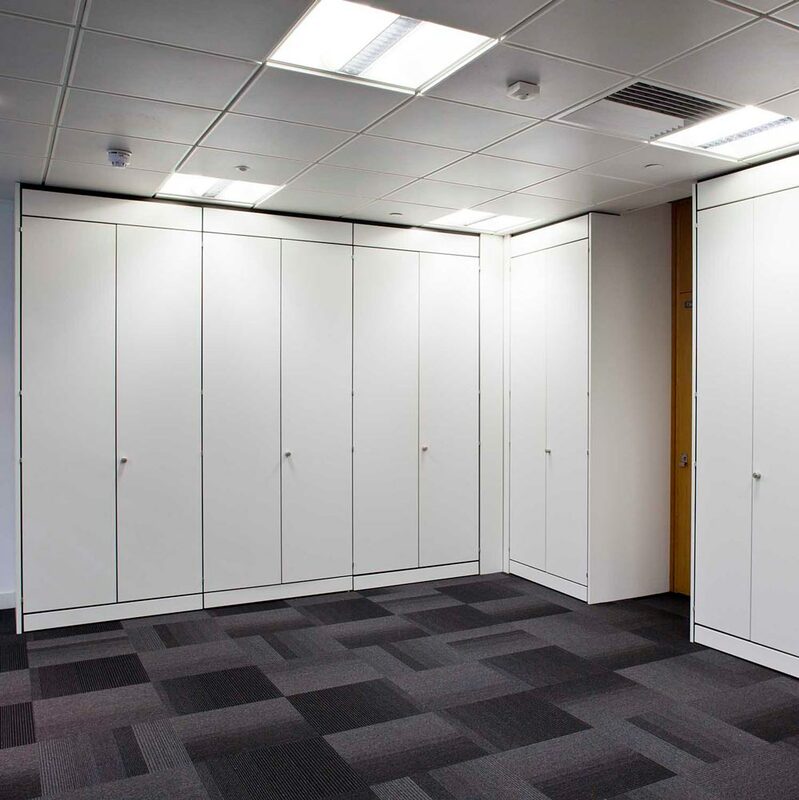 Floor to ceiling storage can be easily integrated into corridor ways to give smooth and continuous lines. They are very discreet and have a very high storage capacity. Just like with built in cupboards, feel free to contact us to discuss your requirements! If you want to have some shelves large enough for folders and some small enough to hold DVDs, then let Rapid Office know. We would be delighted to take your input on board when selecting the perfect storagewall units for your company. 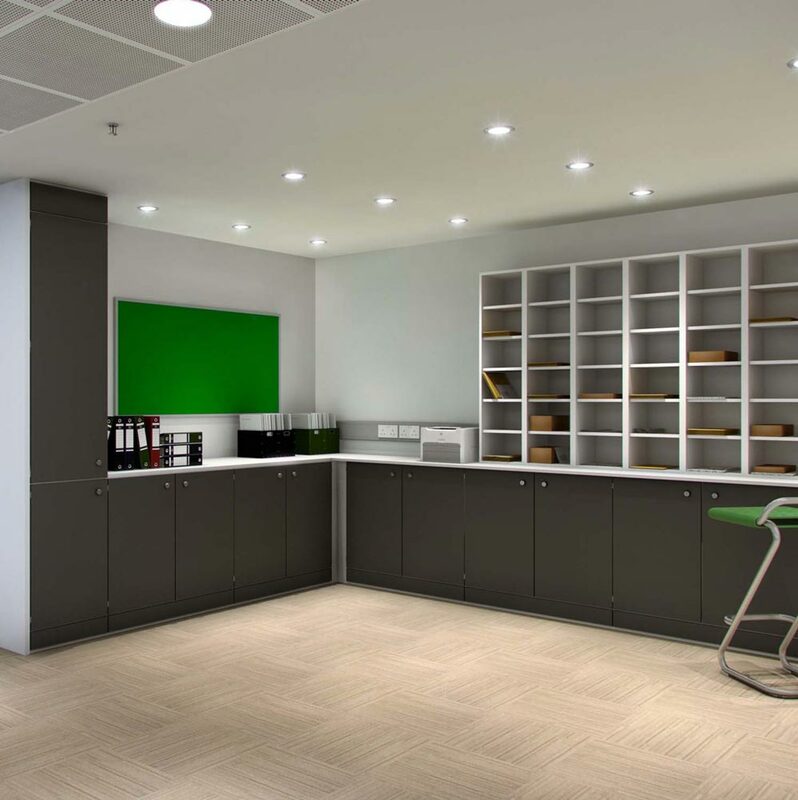 When they hear the term storagewall, many people feel put off because they feel as though it won’t blend in with the rest of the office. The last thing anyone wants is a collection of ugly filing cabinets cluttering up their valuable office space. But storagewall units provide you with an elegant and neat way to make the most of the storage space you have. Floor to ceiling storage allows you to keep the most important documents at eye level for easy access, whilst less used items can be placed near the top.